The Anthropology Department takes recent allegations against a member of its faculty very seriously. We support our students and share their distress with regard to this case. We also express our support for due process and look forward to the timely conclusion of this case by the university administration. 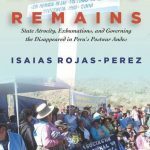 Congratulations to Isaias Rojas-Perez for being awarded the Association for Political and Legal Anthropology Book Prize for his book “Mourning Remains: State Atrocity, Exhumations, and Governing the Disappeared in Peru’s Postwar Andes” (Stanford University Press, 2017). He was celebrated during the APLA business meeting on Saturday, Nov. 17. Graduate student Benita Menezes has received the inaugural M. Estellie Smith Memorial Fund award. 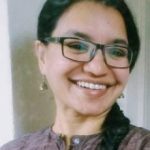 Her project was “The Politics of Dispossession: Neoliberal Subjects, Law and the Market in Rural Maharashtra, India.” The award honors Dr. Smith, who was a past president of the Society of Economic Anthropology (SEA). 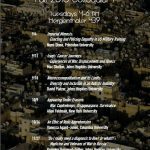 The fund provides graduate students small grants specifically to supplement dissertation fieldwork expenses and subsequent travel money to present their findings at the SEA annual conference.